​enhance your Italian Market shopping experience. Our Chocolate House celebrates chocolate in all of its glory. 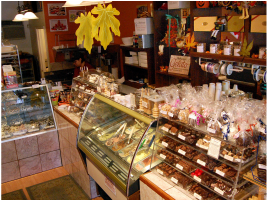 Our Gourmet Chocolate Covered Pretzels, European Style Truffles & Signature Chocolate Caramel Apples are sure to please everyone.